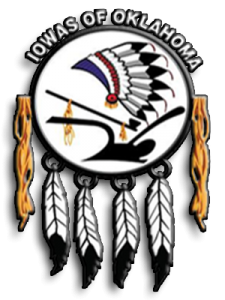 The announcement by the Iowa tribe of Oklahoma that it had received an online gaming license from Isle of Man regulators wasn’t all that expected or unusual in itself. The tribe had an operator application in with IOM regulators for over a year, since August of 2016, and had prepped for the expected licensing by creating an IOM-domiciled corporation, Ioway Internet Gaming Enterprise Limited. Ioway Internet Gaming Enterprise Limited was created back in January, according to its articles of incorporation, which shows that the IOM approval has been expected for some time. 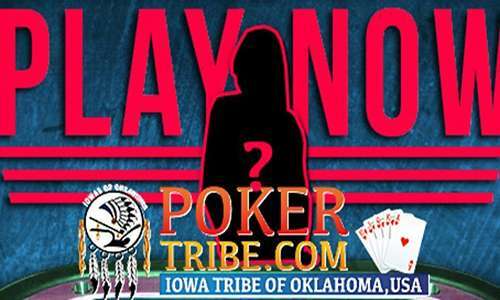 However, in May, it was announced that software partner UEG was under investigation by the NIGC (National Indian Gaming Council) over its prior deal with the Cheyenne and Arapahoe Tribes of Oklahoma — that’s the PokerTribes.com site that directly preceded UEG’s PokerTribe.com offering. That certainly had to cloud the Iowa Tribe application, even if NIGC investigations and findings have zero legal impact for IOM regulators. In light of that, there are several parts of last week’s Iowa Tribe announcement about receiving IOM approval that raise more questions than answers. 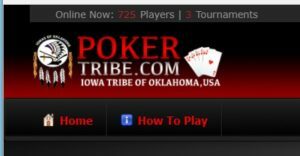 “While the Iowa Tribe and its Isle of Man gaming company are not setting a specific launch date for the online poker site, known as PokerTribe.com, Walkup said PokerTribe.com will go live sometime this fall. Chairman Walkup said a major announcement will be made within the next two weeks concerning the sale of the software company jointly owned by the Tribe and Universal Entertainment Group to an internationally-recognized company. As other industry stories have noted, why would UEG be stepping out of the picture, and why are the “online gaming assets” being sold to an “internationally-known brand”? If one applies Occam’s Razor, the simplest explanation is the right one: One of the four conditions for IOM approval is likely that UEG and Fred Khalilian cannot be involved; the Iowa Tribe of Oklahoma is free to publish the four conditions in their entirety so such conjecture can be affirmed or disproved. After all. if the IOM wasn’t aware of the NIGC investigation into UEG, this writer made sure they didn’t miss it. Said writer might have forwarded on to IOM regulators some FTC press releases as well regarding those previous Khalilian cases…. “UEG and its various tribal partners have never adequately explained why gamblers based outside the US would choose to patronize a little-known new site when they have literally thousands of rival sites – many based far closer to home with established reputations from years of reliable operation – from which to choose. It seems a certainty that the next bit of “news” in this saga will be the sale of UEG’s portion of the business to this “internationally-known brand”. And that’s a good thing to the extent UEG exits the scene. Even now, the PokerTribe.com online presence is a (cob)web site that’s both a year out of date and contains blatantly fraudulent info: That ticker at upper left that claims to show 725 players and 3 running tournaments is fake and has been showing that fake info since 2016. But players themselves shouldn’t be that concerned. In this writer’s opinion, the real marks in all this have been the two Oklahoma tribes — first the Cheyenne and Arapaho nation, and now the Iowa Tribe of Oklahoma. Various reports indicate the total expenditure by the two tribes now tops $20 million, a healthy chunk of which was paid to UEG and Fred Khalilian. This next newsy development in all this is due any day, supposedly. We’ll be watching.